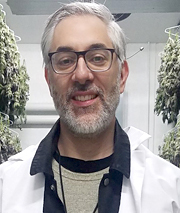 In the US, direct to consumer marijuana platform NorCal Cannabis (NorCal) has appointed former Twitter researcher Jeffrey Graham as Vice President Business Intelligence, to lead its data strategy and customer insight. California-based NorCal operates cannabis production facilities which include more than 100,000 sq. feet of indoor flower canopy, manufacturing, processing, packaging and distribution assets. In January, the company closed a $27.4m round of Series A financing, which it plans to use to increase production and manufacturing at its Santa Rosa campus, expand its state-wide delivery platform and increase its retail and customer-facing footprint, while paving the way for a potential 2019 public listing. Graham (pictured) joins from investment firm BlackRock, where he served as MD, Global Head of Marketing Insights & Analytics, leading a team of data scientists and behavioral researchers. Prior to this, he spent nearly five years at Twitter - initially as Global Ad Research Director, and more recently as VP Market Insight & Analytics. Earlier, he worked for Google as Director of Advertising Research, Americas, before which he held senior roles at Initiative, The New York Times, Starcom MediaVest and Dynamic Logic. Separately, NorCal has hired former Twitter exec Joel Lunenfeld as Chief Marketing Officer, as well as Chris Gomersall as Vice President, Executive Creative Director, Alex Lopoukhine as Director of Brand and Product Marketing, and Nish Nadaraja as Director of Retail Marketing. CEO Douglas Cortina comments on the appointments: 'NorCal's mission of bridging the strong roots and rich heritage of the cannabis industry to its bright future is reinforced by the communal skills and success of our seasoned team of experts in the marketing, retail and branding spaces. The marketing team will play a critical role in ensuring NorCal continues to use cannabis as a force for good in the community'.